Reheat homemade chili at the office for a warm meal with this innovative, single serving mug from CorningWare. From CorningWare's smart Pop Ins line of kitchenware, the mug holds up to 22 ounces of a favorite beverage, soup, or vegetable dish. 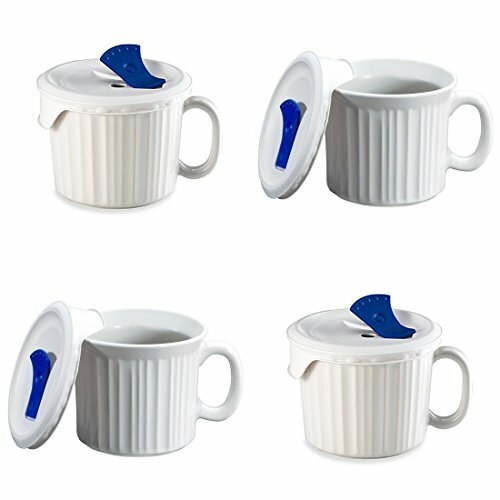 Constructed in fine stoneware, the fluted mug design adds simple elegance to a kitchen while performing multiple functions. Freezer-, refrigerator-, oven-, and microwave- safe, the mug enables quick and easy food preparation. Just add frozen minestrone, pop the mug into the microwave, and set your steaming soup on the dinner table. The included plastic lid keeps contents fresh and is heat-resistant for microwave use. 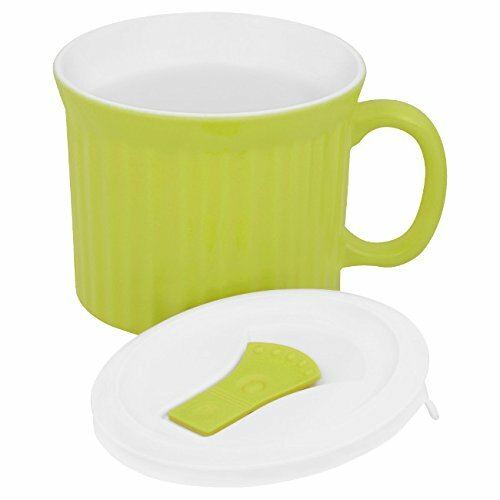 Vented slots on the lid allow steam to exit while dishes reheat in the mug, preventing steam burns or messy content eruptions. To clean the mug, place in the dishwasher or wash by hand. Soaking stoneware may damage the mug's effectiveness. Avoid using abrasives that may cause scratches and blemishes. You’ll want one of these Pop-Ins mugs at the office - and several at home. 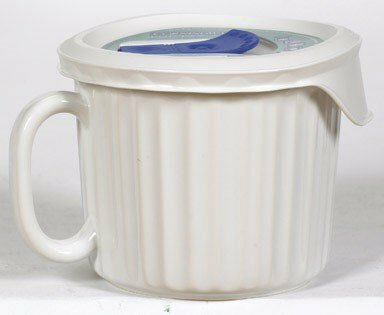 The mug is oven safe, and can be used with its vented lid, specifically designed for the microwave. The lid allows steam to escape, keeping your microwave clean and you safe from steam burns. Discover CorningWare Colours. Vibrance coupled with the versatility that's made CorningWare bakeware a true classic. Timeless shapes meet contemporary colors. 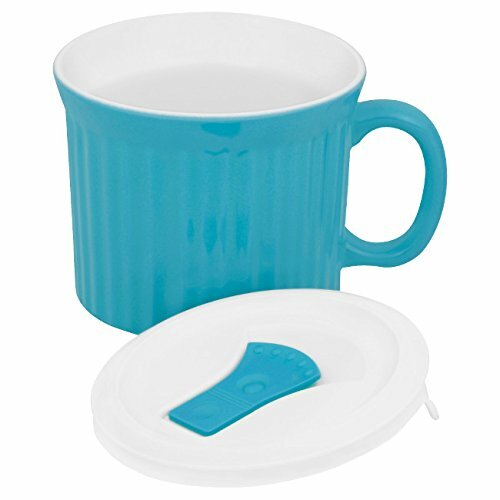 Whether you're entertaining for two or twenty, creating memorable meals has never been easier, this Pop-Ins® mug lets you do just that - pop it into the microwave. Its vented lid allows steam to escape, keeping your microwave clean and you safe from steam burns. The vent also promotes even cooking, so your food doesn't dry out. 1035985 Features: -Contemporary french white styling. -Dishwasher and microwave safe plastic lid. -Safe for ovens, microwaves, refrigerators and dishwasher. -Capacity: 20 Ounce. Product Type: -Coffee mug. Color: -White. Style: -Contemporary. Pattern: -Solid Color. Dimensions: Cup/Mug Height - Top to Bottom: -4". Cup/Mug Width - Side to Side: -5". Cup/Mug Depth - Front to Back: -6". Overall Product Weight: -1 lbs. 1118385 Color: Tomato Features: -Pop-Ins collection. -Material: Durable stoneware. -Cover material: Plastic. -Color: Sunflower. -Designed for use in oven, microwave, refrigerator and freezer. -Resists chipping and cracking. Material: -Stoneware. Pattern: -Solid color. Country of Manufacture: -United States. Dimensions: Overall Height - Top to Bottom: -4.125". Overall Width at Base - Side to Side: -5". Overall Depth at Base - Front to Back: -6". Overall Product Weight: -1.26 lbs. 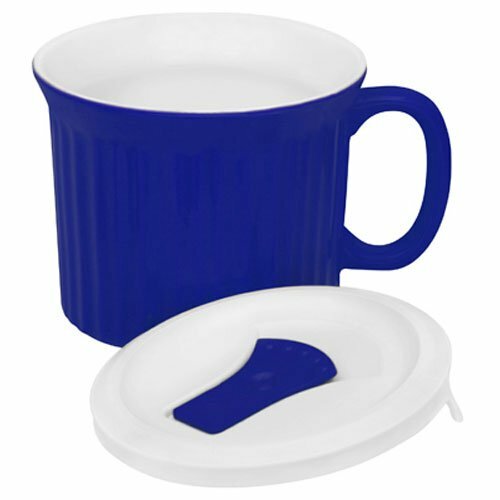 Use Corningware Colours Pop-Ins Tomato Mug for tomato soup and much more. The Pop-Ins vented lid allows steam to escape, keeping your microwave clean and you safe from steam burns. 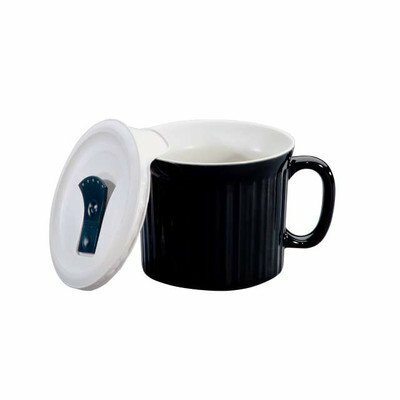 Plus the stoneware mug is safe to use in the microwave, oven, fridge, freezer and dishwasher. The mug holds 2-1/2 cups, plenty for a morning pick-me-up or lunchtime meal. 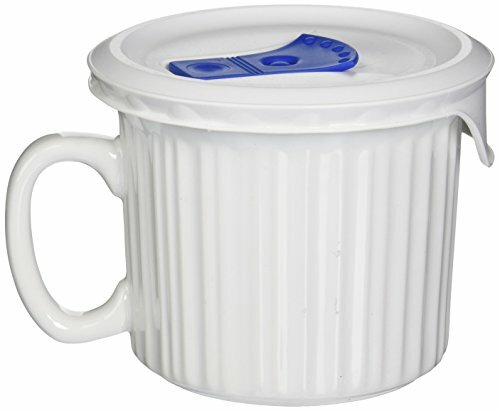 Perfect size for heating soups and chili as well as beverages. Color: Tomato Red Capacity: 20 ounce Vented plastic cover is leak proof and has a steam vent Stoneware is safe to use in microwave, oven, refrigerator, freezer and dishwasher Resists chipping and cracking Non-porous surface does not absorb food odors, flavors or stains. You'll want one of these Pop-Ins mugs at the office - and several at home. 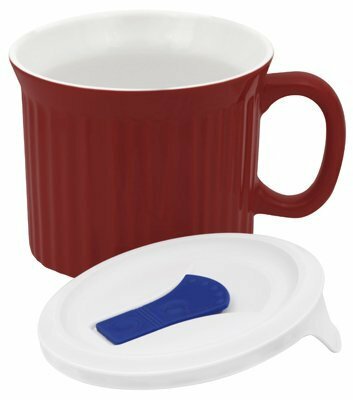 The mug is oven safe, and can be used with its vented lid, specifically designed for the microwave. The lid allows steam to escape, keeping your microwave clean and you safe from steam burns. Copyright © Wholesalion.com 2019 - The Best Prices On 22 Oz Pop Ins Mug Online.